(1) HALLOWEEN VIGIL. John King Tarpinian commemorated his annual Halloween visit to Ray Bradbury’s gravesite with this photo. (2) THE MOST GHOSTS. Halloween is a good day to be publicizing books newly available for sale from Richard Dalby’s Library. One of the largest collections of rare and antiquarian supernatural and ghost books. If you’re looking for something special, unique and rare we might just have the book for you. Richard Dalby was an editor and literary researcher noted for his anthologies of ghost stories. He was also an avid book collector and scholar. He sadly died in April 2017. What are your favorite books or stories featuring vampires or anything uncategorizable? And the panelists are: Gareth L. Powell, Stina Leicht, Zachary Jernigan, Jason Sizemore, Mary Robinette Kowal, Jennifer Brozek, Christopher Golden, T. Frohock, Rachel Swirsky, Jason Arnopp, Dr Gillian Polack, Jeffrey Ford, Paul Cornell, Paul Jessup, Lara Elena Donnelly, Kristine Smith, Carrie Cuinn, Beth Cato, Brea Grant and Mallory O’Meara, Jaym Gates, Gail Z. Martin, Tracy Fahey, Jaime Lee Moyer, and Tracy Townsend. (4) LOUD OUT THERE. Who says they can’t hear screaming in space? Mike Chua of MikeShouts says “NASA’s Playlist Of Sounds From Space Is Apt For Sci-Fi-themed Halloween Party”. Are you going to have a sci-fi-themed Halloween party? Well, if so, you will want these spooky sounds recorded in space by NASA as your soundtrack. Like, seriously. Be warned though, these sounds are really, really spooky. The level of spookiness cannot be overstated. I have listened to all the tracks in the playlist and all I can say that they sound more paranormal than space-ish. Aptly entitled Spooky Sounds from Across the Space, the playlist on Soundcloud includes 22 tracks pulled from NASA’s archive of sounds recorded in outer space by the various probes and orbiters, and therefore do not expect sweet, varying mood, orchestrated music from Contact. (6) THE FIRST ONE IS FREE. YouTube Red is airing Lifeline, produced by Dwayne “The Rock” Johnson’s Seven Bucks Digital Studios and Studio 71. The series stars Zach Gilford (Friday Night Lights) and Sydney Park (The Walking Dead), and tells the story of a life insurance company that sends its agents into the future to prevent the accidental deaths of its clients. (7) A VISIT TO THE REAL WORLD. Maggie Stiefvater: “I’ve decided to tell you guys a story about piracy”. Piracy not only costs sales, it kills series. 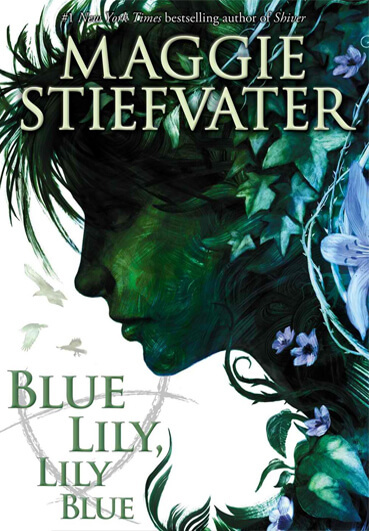 …There was another new phenomenon with Blue Lily, Lily Blue, too — one that started before it was published. Like many novels, it was available to early reviewers and booksellers in advanced form (ARCs: advanced reader copies). Traditionally these have been cheaply printed paperback versions of the book. Recently, e-ARCs have become common, available on locked sites from publishers. Strange, I thought. 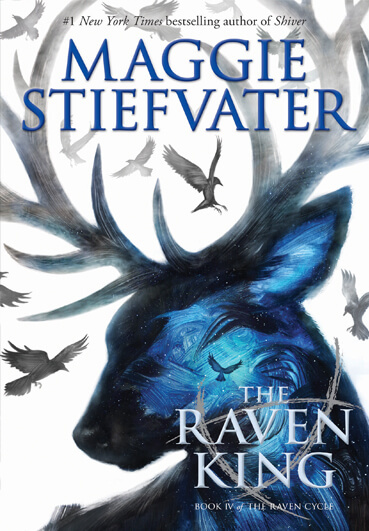 Particularly as it seemed on the internet and at my booming real-life book tours that interest in the Raven Cycle in general was growing, not shrinking. Meanwhile, floating about in the forums and on Tumblr as a creator, it was not difficult to see fans sharing the pdfs of the books back and forth. For awhile, I paid for a service that went through piracy sites and took down illegal pdfs, but it was pointless. There were too many. And as long as even one was left up, that was all that was needed for sharing. This, my friends, is a real world consequence. Today on Twitter and Tumblr, I posted about piracy and the effect it had had on the publishing side of the Raven Cycle. Several readers lashed out at me and asked why I did not merely release an 11,000 word story for free if the publisher had decided not to release it — further, they noted, other “big name authors” released “loads” of free content and since I didn’t release “loads” of things for free, surely this meant I just was in it for the money. …And I’m not going to speak to the giving away art for free business. The internet has discussed this a lot already, and the fact is that if you take away a paying-for-art model, you end up only getting art from people who can afford to work in their spare time or art that is supported by patrons — both models that we have seen before, both models that end up giving you art produced by and for a homogenous and upper class group. So moving on. (8) NO OASIS IN 2018. The Orlando Area Science Fiction Society has announced they need more help to continue putting on the annual OASIS convention, and until they find it they’re skipping a year. OASIS 29 revealed a need for restructuring our future conventions. As a result, we must regretfully announce that there will not be an OASIS convention in 2018. 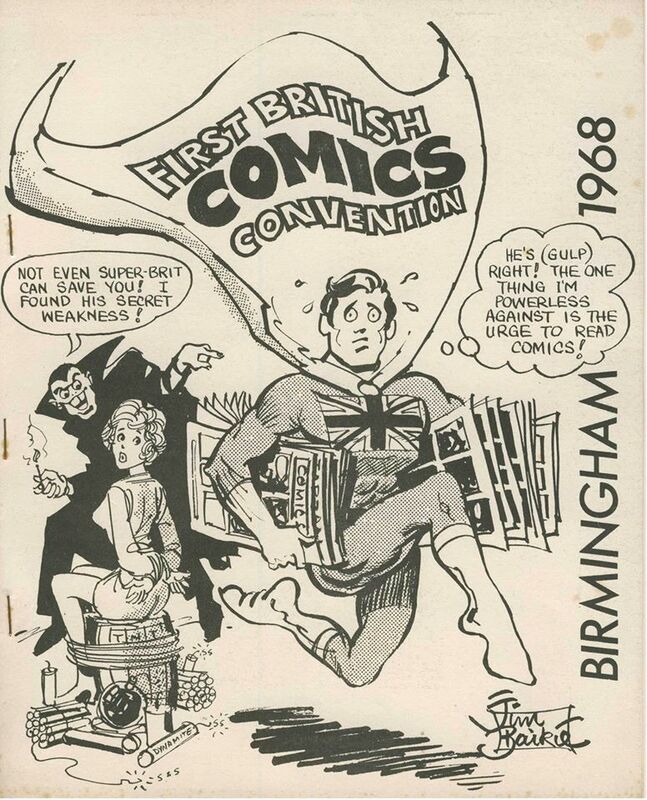 We hope to present the next OASIS convention in 2019. We’ll provide the latest updates of our progress through Twitter, Facebook and the OASFiS web page. However, that progress depends on you. Yes, you. Each convention, we’ve asked people who love fandom to join OASFiS and help us build future conventions and events. In this critical time, we need you more than ever. It might be fun to watch fan activities from an audience seat, but it’s more fulfilling to make them happen and bring your own ideas to the world. We want to bring greater events beyond the convention, involving all of Central Florida’s fan communities, but that requires the involvement of your minds, bodies and souls. Come to our monthly meetings – which we’re planning to move to a comfortable location in downtown Orlando, to be announced soon – and talk to us. As we’ve discovered, it’s good to have some friends. But it’s better to have more friends. Julian May’s Christmas tree was bedecked with a flying-dinosaur ornament handcrafted by someone better known for writing “I, Robot” and other sci-fi classics — Isaac Asimov. Author Ray Bradbury used to bounce her son on his knee. Before becoming a popular science-fiction writer herself, Ms. May grew up in a Cape Cod home in Elmwood Park, attended Trinity High School in River Forest and landed her first job at Burny Brothers bakery at 2445 N. Harlem. Her books included two sprawling sci-fi sagas: the four “Saga of Pliocene Exile” novels and the six-book “Galactic Milieu” series. They incorporate aliens, barbarians, time travel, swordplay and paleontology, with elements of Carl Jung and Celtic and Norse mythology. Ms. May, who wrote 19 science-fiction and fantasy novels and more than 250 young-adult nonfiction books, died of a heart attack Oct. 17 at Overlake Hospital in Bellevue, Wash. She was 86…. October 31, 1926 – Harry Houdini died. John King Tarpinian encountered a question about Dracula’s sartorial splendor in today’s Shoe. (12) MANUFACTURER’S RECALL. If you rushed to buy the new Penric novella on the first day, Lois McMaster Bujold says you need to check whether you received a corrupted edition. I would advise Kindle customers to give up waiting on the “manage your content and devices” page and go straight to the chat solution, as explained. As discussed (at length) in the prior post, the file uploaded on Friday of “The Prisoner of Limnos” was corrupted due to a formatting glitch — 14 out of its 18 chapters were missing their final paragraphs. We caught up with the problem on Saturday afternoon, and a fresh and supposedly corrected file was uploaded at the three vendors. (13) WITCHES UNFAMILIAR. Jamie at Pornokitsch turns the pages of several recent comic books in “Hubble, bubble, toil and feminism: Witches in comics”. The Chilling Adventures of Sabrina also takes the form of a coming-of-age horror. While Harrow County has a positive message about female friendship, Chilling Adventures tells a much muddier story. Written by Roberto Aguirre-Sacasa and illustrated by Robert Hack, Chilling Adventures is part of the Archie Comics horror line and sends Sabrina back to a 1960s setting. Using this historical time period – a decade of changing attitudes – helps polarise Sabrina’s position not only as a girl halfway between the worlds of the witches and regular humans, between girlhood and womanhood, but also between the old and new ways of thinking. The old hidebound rules of the witches represent the old way, the coven standing in for the stratified social systems of family and motherhood that constrained women for so long. Sabrina’s time in the human world – a normal teenage girl in high school – shows all the new attitudes of the 1960s. There, Sabrina is dating a football player, studying In Cold Blood and trying to get the big role in the school adaptation of Bye Bye Birdie. She looks up to the new drama teacher, Ms. Porter who, unfortunately, turns out to be a long-thought-dead witch with a grudge against the Spellman family. Ms. Porter (a.k.a. Madam Satan) is herself something of a dichotomy. In her mortal guise she is a sympathetic confidante, a no-nonsense woman with the tell-tale ‘Ms.’. When we see her in her witchy moments, however, she’s driven by jealousy, lust and vanity, a trio of sins classically assigned to ‘witchy’ women. In Chilling Adventures, Sabrina’s attempts to move away from this outdated view of femininity that provides so much of the comic’s thematic tension and makes its witches so compelling. (14) GOBLIN UP THE SHORT FICTION. Jason has devoured October’s short fiction and has recommendations on the tastiest treats in the “Summation of Online Fiction: October 2017” at Featured Futures. 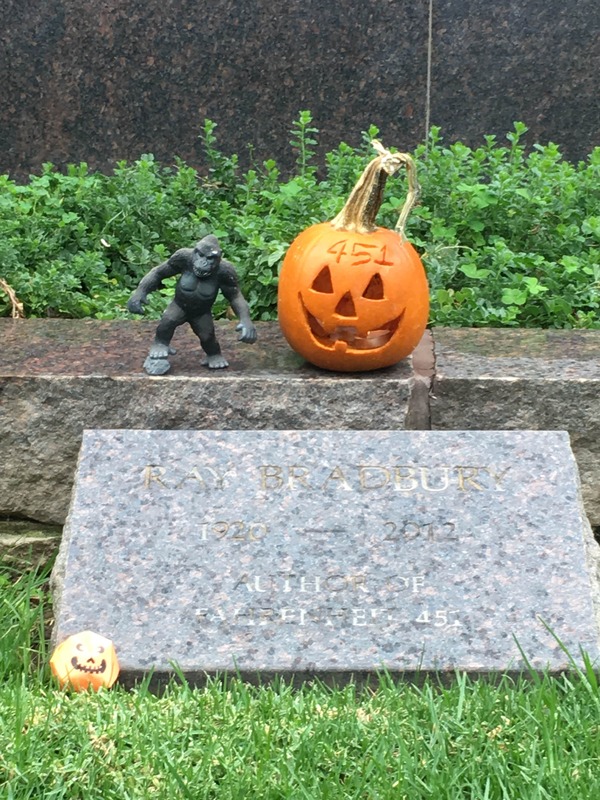 September was the scary month with few great or even particularly good stories but October rebounded resoundingly with several remarkable tales (out of only thirty-four read of 157K words), and from relatively unusual venues. Flash Fiction Online produced an excellent Valloween issue combining Valentine relationships with Halloween darkness. Uncanny and Apex also had stories above the usual fare. While Nature produced no recs this month, it produced a double-honorable-mention and got into the Halloween spirit with both, one of which would have fit into the FFO issue and one of which was outright horror. Plus there was a trio of quite remarkable near-misses of fantasy from a trio of other sources, at least a couple of which also fit the season and one of which was a rare webzine novella. For those not in the Halloween mood, there were still a few good tales that weren’t so dark. Speaking of scary, though, Tor.com published only one story in September and posted only two original ones in October. Here’s hoping they get back on track. The hyper genre-aware Netlfix show is back with another nine hour marathon wearing the early 1980’s as a halloween costume. If you didn’t like the first series, fair enough – tastes very and I’ll discuss one of the biggest issues I have with the show below. If you did like the first series then you’ll like this one also. Essentially while the characters have grown and the plot advances, the core features of the show are the same. Personally, I was absolutely riveted. …The strength of the show remains with a great cast with strong characters. Wynona Ryder as Joyce Byers gets to be less frantic for more of the show but still conveys an electric mix of nervous energy and fierce determination to protect her family against absolutely ANYTHING. Above all she is a wonderful antidote to the cliche of the disbelieving adult – as with the first series, she follows the internal logic of the crazy situation with a compassionate ruthlessness. The younger cast remain brilliant and charming and plausible. The addition of Max, a skateboarding new kid from out of town, broadens the gender mix of the core gang. While among the adults, Sean Astin plays Wynona Ryder’s romantic interest as an adult nerd – which is a handy trait in a show where being a nerd is often a handy superpower…. (16) ANOTHER ENTRY IN THE LITTLE BLUE BOOK. Doctor Who News predicts there will be a close encounter of the fourth kind — specifically, “River Song to Meet Fourth Doctor”. River Song as played by Alex Kingston, is to meet the Fourth Doctor, played by Tom Baker, in a new set of audio adventures released by Big Finish. Series Four of The Diary of River Song, to be released in August 2018, will see the archaeologist encounter Doctor Number Four, in a set of new adventures alongside the longest serving Doctor. Meanwhile Series Three of the Diary of River Song will released in January 2018, and will feature the Fifth Doctor, as played by Peter Davison, battling against the most evil midwife in Doctor Who history, Madame Kovarian, played by Frances Barber. (17) TAKE THREE AND CALL ME IN THE MORNING. BigThink takes the piss out of Pythagoras: “Scientists Discover the Purpose of a Mysterious 3700-Year-Old Babylonian Tablet” . The tablet has 15 rows of numbers written in cuneiform over four columns. It uses a base 60 numeral system (called “sexagesimal”), which originated with ancient Sumerians. What was the tablet used for? The scientists think it might have been an invaluable aid in the construction of palaces, temples and canals. Before pocket calculators, trigonometric tables were used widely in a variety of fields. They let you use one known ratio of the sides of a right-angle triangle to figure out the other two unknown ratios. He also called the tablet “a fascinating mathematical work that demonstrates undoubted genius.” Mansfield said the mathematics on the tablet are advanced even for our modern trigonometry. Plimpton 322 also shows the Babylonians proved the famous Pythagorean theorem a thousand years before Greek mathematician Pythagoras was born. Interestingly, not only is this the world’s oldest trigonometric table, it’s also “the only completely accurate” one because of its reliance on the potentially more precise base 60. (18) JAUNTY ALOUETTE. The Traveler at Galactic Journey keeps watching the skies: “[October 31, 1962] Trick and Treat! (A Halloween candy wrap-up of the Space Race)”. Typically, a Thor Agena B launch from Southern California means yet another Air Force “Discoverer” spy sat has gone up; such flights are now weekly occurrences. But the flight that went up September 29 actually carried a civilian payload into polar orbit: Alouette 1, the first Canadian satellite. Alouette is designed to study the ionosphere, that charged layer of the atmosphere hundreds of miles up. But unlike the sounding rockets routinely sent into the zone, Alouette will survey (or “sound”) the ionosphere from above. Canada is particularly interested in understanding how and when the sun disrupts the region, interrupting radio communications. Our neighbor to the north is a big country, after all, and it is the Northern Hemisphere’s first line of defense against Soviet missiles and bombers. Radio is, therefore, vital to both defense and civilian interests. According to early data, it looks like the highest “F2” layer of the ionosphere is as reflective to radio waves from the top as the bottom. Alouette has also, by beaming multiple frequencies down to Earth, helped scientists determine what radio wavelengths aren’t blocked by the ionosphere. (19) A MUCH DIFFERENT BOY AND HIS DOG. From Deadline: “Amblin Entertainment Acquires Tom Hanks Sci-Fi Package ‘Bios’”. Writers are Craig Luck and Ivor Powell. The story is about a robot on an a post-apocalyptic Earth who was programmed to protect his creator’s dog. Through that, the robot learns about love, friendship and the meaning of life. Producing will be ImageMovers Jack Rapke and Jackie Levine along with writer Powell. Bob Zemeckis, Luck and Sapochnik will be executive producer. (20) NOW ON THE SHELVES. The Archie McPhee catalog acknowledges our debt to these unsung professionals with their new LIBRARIAN ACTION FIGURE! What’s that in the sky? It’s our new super-powered Librarian Action Figure! We need heroes right now who can help us navigate information, point us to reliable sources and recommend books that help us grow in our understanding of our fellow humans. In other words, move over Captain America, it’s time for the librarians. 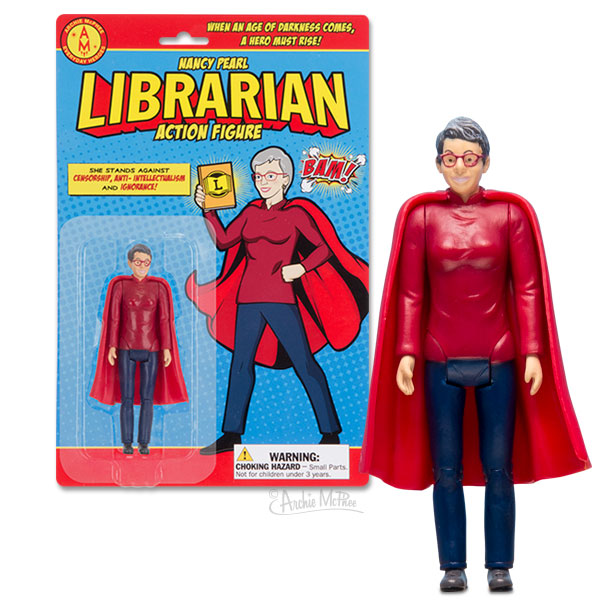 Based on Seattle librarian Nancy Pearl, this action figure has a removable cape and a deep knowledge of how knowledge is organized. Celebrate an everyday hero! 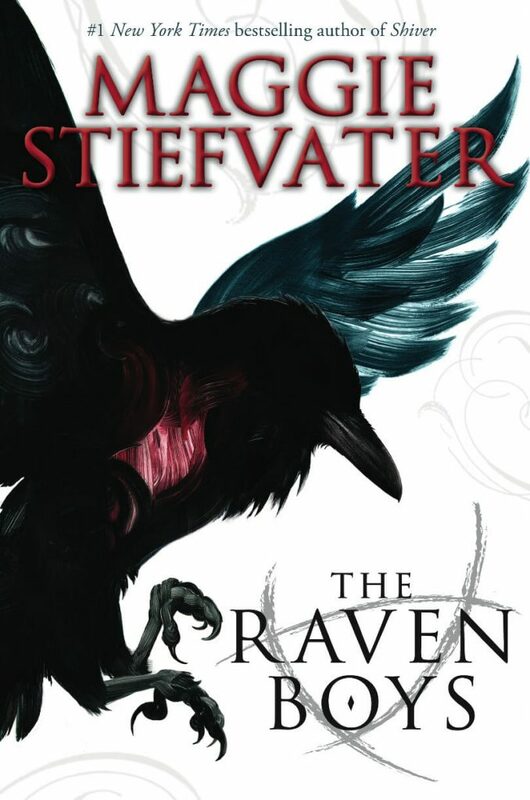 By Carl Slaughter: Tor.com reported last week that the rights to Maggie Stiefvater’s The Raven Cycle have been acquired for television. 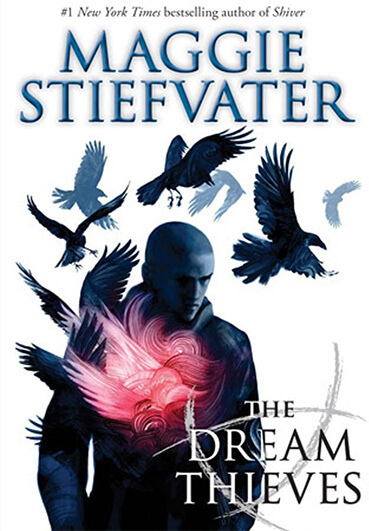 And Tor.com contributor Molly Templeton immediately set about matching actors to parts in “Dream Casting The Raven Cycle”.